The Criterion Club held its annual Breakfast Birthday Celebration in honor of Dr. Martin Luther King, Jr. on Saturday, January 19, 2019 at 9:00 a.m. The enthusiastic audience braved the chilly winter morning to be an integrate part of more than 100 people who congregated in the Criterion Center’s auditorium. Mrs. Jackie Yates-Leach, Immediate Past-President and presiding officer, extended greetings and announced the commencement of the event. The opening song, “We Shall Overcome,” was sung by the audience. We were led to the throne of grace by Rev. Allen D. Robinson, Pastor of Mt. Pleasant Missionary Baptist Church in Little Rock. The Holy Scripture was read by Mrs. Mary Alice Townsend, Vice-President of the Criterion Club. 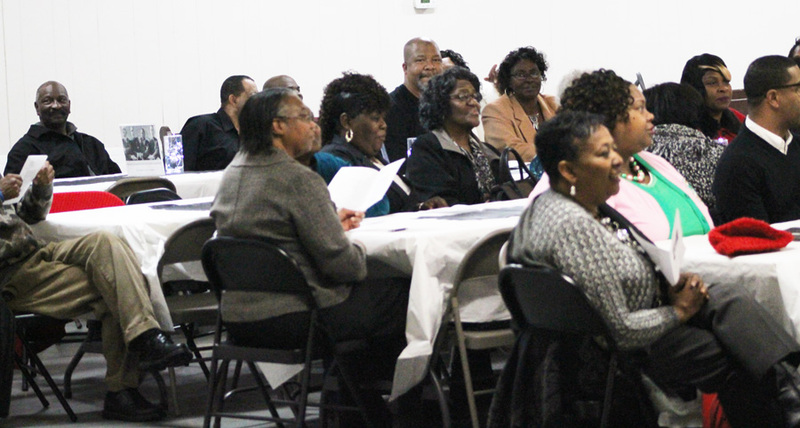 An enthusiastic welcome and historical review was given by Mrs. Dorothy A. Bethea. The jubilant occasion was given by Mrs. Regina McRae-Bradley. 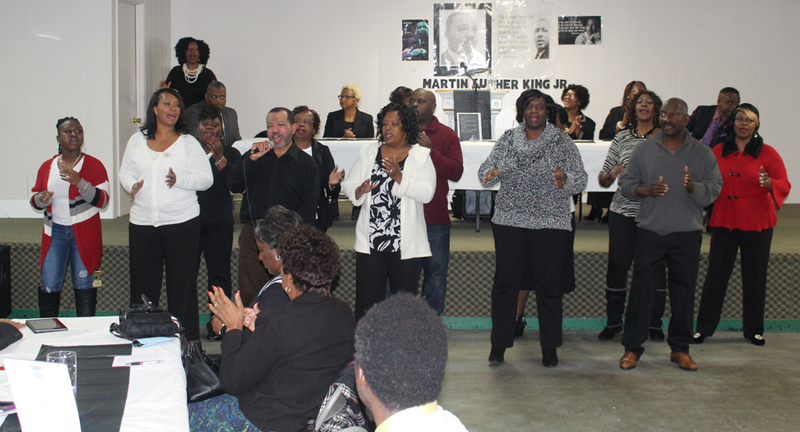 The Saint Matthew African Methodist Episcopal Church combined choir sang in uplifting voices “I’ll Be Alright” led by Mr. Keith Sowells and “What He’s Done For Me” led by Mrs. Darlene Carmichael. The speaker of the hour Reverend Dr. Orlando McCauley, Jr., Pastor of St. Matthew A.M.E. Church in Hamer, was introduced by Mrs. Odell McCauley, his lovely wife. Reverend McCauley, has pastored several A.M.E. churches and became pastor of Saint Matthew A.M.E. Church in November of 2017. He is a true man of God who loves being a servant of God. Reverend McCauley took his text, “Performing a Civic Duty Doing It God’s Way,” from Matthew 25:25-40. The audience was reminded that we have missed opportunities because of our choices we make. We should be doing something because we want to have an impact on someone’s life and not just be a bystander. Reverend McCauley reminded us of the lyrics by Mahalia Jackson, “If I Can Help Somebody,” because we don’t want our living to be in vain. He stated we should not sit idle but do something to help others. Reverend McCauley received a rousing ovation from the audience. We pray God’s continued blessings on the messenger, his loved ones, and the message. Mrs. Jackie Yates-Leach, gave the announcements. Ms. B. Jackie Thomas, President of the Criterion Club recognized the clergy, officials, and gave closing remarks. Reverend Robinson blessed the food and gave the benediction. A sumptuous breakfast buffet was enjoyed. The MLK Committee was headed by Dr. Deborah Swinney. 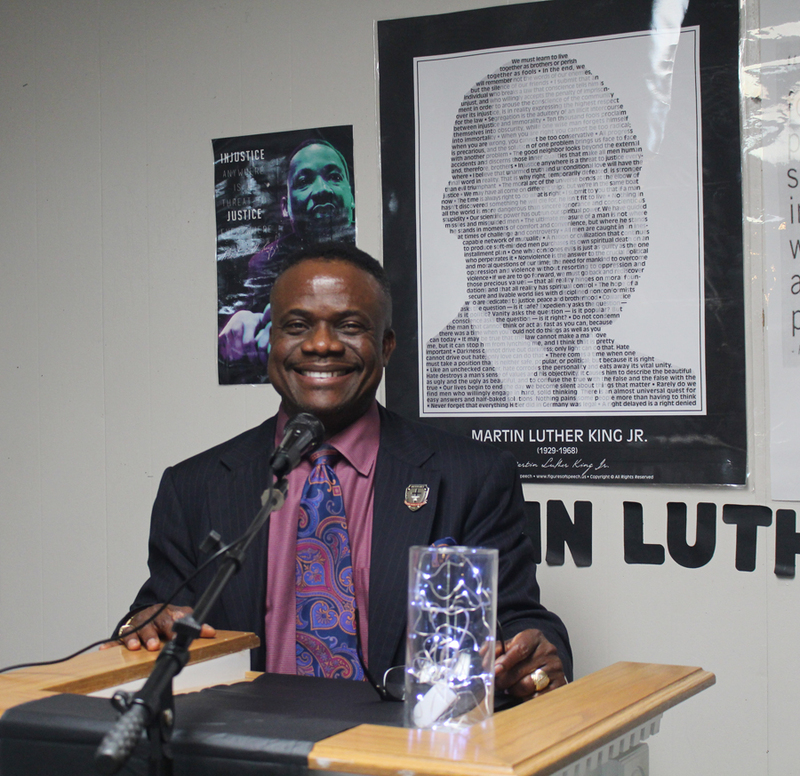 The décor showcased black and white and variety of framed photographs of Dr. King on each table. We dined sufficiently, engaged in fellowship, and left with a rejuvenated spirit. Our gratitude is expressed to everyone who has supported this program over the years with your prayers, talents, time, and service. President B. Jackie Thomas and the Criterion Sisters are looking forward to the challenges for this New Year.